This being November, we wanted to pause and give thanks to the many people who helped us get here. Our journey to innkeeping sometimes felt like an odyssey, and took us down many unexpected paths. And as in the classic journey story, we would not have made it without the help of some amazing people who guided and encouraged us and made things happen when they needed to. Warning, mixed metaphor ahead! Because along our journey we learned this: it takes a village to raise innkeepers. When it comes to the journey itself, we can never be grateful enough to Rick and Janet Wolf of the B&B team: our guides, mentors, and friends. They hung in there tirelessly with us for two+ years and eighteen (!) property showings. And because Rick and Jan are former innkeepers, we saw those properties through innkeepers’ eyes. Priceless. Every showing and every conversation furthered our (starting from zero) knowledge about the world of inn keeping. They truly cared about getting us into the right property, and helped us understand why we had to walk away from the wrong ones—in effect putting our interest above their own. It was a very proud and moving moment when, at our closing on the Towne Motel, Rick pinned the B&B Team’s pineapple pin (the colonial American sign of hospitality) on our shirts. We love you two. And we miss you! To Liz Scott of Coldwell Banker, great thanks for so quickly selling our Jersey Shore home this summer, under great time pressure. 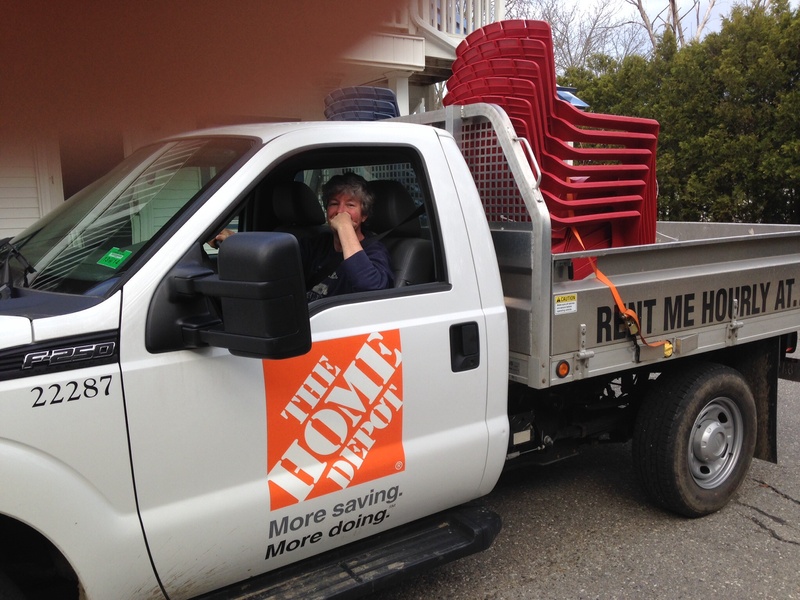 Liz, our dream would have fallen apart without your tenaciousness, expertise, and uber-professionalism. And your patience with us! To Bonnie Lyster, thanks for watching our cats with care and kindness while we were on our inn-hunting treks. We will miss you when we take our first trip away from here. To Jo Freilich at the High Tide, thanks for keeping Mom and Hendrick’s former inn beautiful and flourishing, inspiring this idea in the first place three summers ago, and always encouraging us along the way. You even helped us keep our sanity during our first weeks in Camden! To Kurt Maynard from Skowhegan Savings: you were a godsend when it came to sanity keeping as well. We never thought it possible to have a mortgage banker this friendly, calm, professional and fun to communicate with! Nothing was ever impossible for you, and without your speedy cooperation with everyone (the many other wonderful people who worked on this deal), we’d probably still be tooling around looking for an inn to buy and finance. And finally to Rick and Jane Ellis, former owners of the Towne Motel: we cannot thank you enough for all that you taught us, for your wonderful warmth and generosity, and for the great property and wonderful staff you have passed on to us ( a staff who will get their own blog tribute shortly). It truly was a sad day for all of us here when you drove off on your journey to Maryland (and a scary one!) but you are “with” us every day as we try to maintain your high standards of hospitality (and as we still bug you with questions by email!) 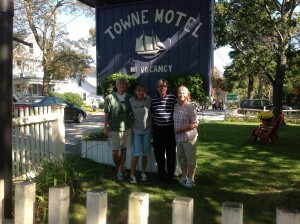 We hope you will always think of Towne Motel as your home away from home in Maine! We’ll turn two lights on for you, in whichever available room you like.